Free Download of Music from BIOSHOCK! 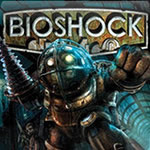 2K Games releases 12 tracks from Garry Schyman's original score to one of the most popular and well-reviewed video games of 2007, BIOSHOCK. You can download them FOR FREE at The Cult of Rapture site. Below is the official press release regarding Garry Schyman's score. Los Angeles, CA – Film, television and video game composer Garry Schyman (www.garryschyman.com) has created the original score for the highly anticipated and innovative first person shooter BioShock developed by Irrational Games and published by 2K Games. Composed in various styles of early twentieth century writing, the music is at times chillingly ominous and at other times deeply beautiful and poignant. BioShock is developed for the Xbox 360™ video game and entertainment system from Microsoft and PC and will be released in North America on August 21, 2007 and internationally on August 24, 2007. To immerse players in this captivating and haunting world Schyman crafted a complex combination of aleatoric elements, early 20th century writing, musique concrete, traditional tonal and late romantic styles. The score, recorded with a live orchestra at historic Capitol Studios in Hollywood, features solo violin, cello, and piano performances. For more information on the composer visit www.garryschyman.com. For more information on BioShock visit www.bioshockgame.com.